The biggest challenge in winning a visa approval to Australia is to fill up the form correctly and submit all the documents in the proper format. V2I visa experts can make the process smooth and easy for you. The right time is Now. Call our immigration consultants to know how to apply for 189 Visa to Australia if you are a skilled worker and do not have a sponsor. Get 190 Visa quickly with us. As a leading Australian visa consultancy, we can help you get the Skilled Nominated Visa in time and enjoy the high quality of life. Visa 457 allowed skilled workers to work in Australia for two to four years depending on whether their chosen occupation was on the MLTSSL list or not. Our experts can help you get the new Temporary Skill Shortage (TSS) Visa or Visa 482 which allows you to stay and work in Australia for two to four years. No time to find out what it takes to get the 489 Visa? 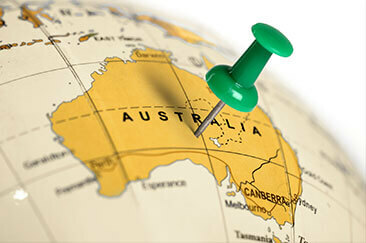 Let our Australian immigration experts help you to stay and work in Australia for up to 4 years! Visa2Immigration is a leading Australian consultancy which offers you visa processing and documentation services. Australia immigration consultants at Visa2Immigration keep a close eye on the ever-changing process of visa legislation and the application procedures and can simplify them from you. All our Australian immigration agents have years of experience in guiding visa applicants about the best visa option for them and in helping them get the Australia visa they desire. Each Australia visa agent we employ has travelled to Australia several times and has firsthand experience of working and staying in Australia. It means that they can save you several hours researching the visa requirements for different purposes and provide you with a complete customised visa solution – from start to finish. As the best consultant for immigration to Australia, we offer you a stress-free and streamlined visa application process with a guarantee of success. With 99.99% track record of winning visa approvals for our clients in time, our Australian visa consultants offer you expert advice and excellent support at each and every step. As a leading Australia consultancy, Visa2Immigration understands that information forms the core of getting an easy visa approval. Hence our Australian migration consultants are always ready to assist you with all your visa-related queries. You can contact them on call at (+61) 283-206-024 or through our web-based services. 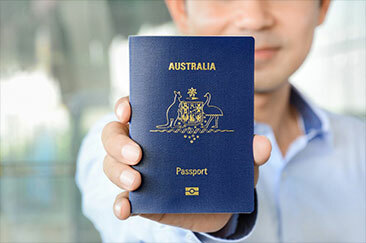 Australia migration consultants at Visa2Immigration regularly undergo training to remain updated about the ever-changing migration laws and visa regulations. Hence, they are knowledgeable enough to help you with the appropriate visa processing for your purpose. Call them to know all about the changes in the Australia immigration visa processing. As leading Australian immigration visa consultants, Visa2Immigration experts realise that each migration and visa case is different. Hence, they research your case in detail and offer you specific and precise visa processing recommendations meant just for you. These customised visa solutions can act as a catalyst to your success in the new country. From the time you contact us till the time you get your visa approval, we offer you a dedicated visa case officer who will help you with the smallest nuances of your Australia visa processing and immigration process. Contact them for a speedy visa approval at the most reasonable price. Visa2Immigration has an impeccable track record of getting 99.9% of client visas approved. From evaluating your profile and recommending which visa you should apply for to filling up visa and immigration forms and submitting the related documents, our visa and immigration consultants can help you get the green flag in a stress-free manner. 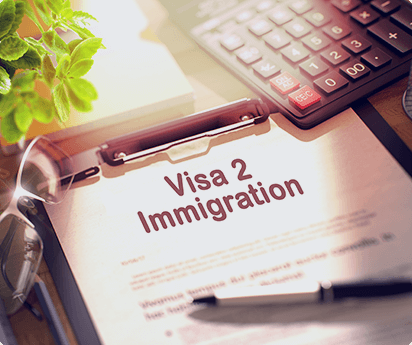 At Visa2Immigration, we are hardwired to follow the processes. Thus, we offer you our service packages and the fees they involve upfront. We guarantee success and do not pose any hidden costs or last-minute fees. Submit all your details on the free visa enquiry form which will help us assess your profile regarding Australian visa and immigration norms. Once we receive your profile, our experts will assess it give you a call within 24 hours. They can advise you on which visa to apply and how to do it. We will then collect your documents to check that all your papers are in order and they have no inconsistencies that may pose problems later. Once everything is in order, we will assign you a dedicated visa agent who will work with you to make your Australia visa process a success. This is the best visa help I had hoped for. Visa immigration agents here knew all about the visa process and requirements and helped me choose the right Australian visa to apply for according to my profile. Australian visa experts here really impressed me with their knowledge and experience. They know all the clauses and sub-clauses of visa rules and laws and could guide me in getting a visa approval easily and in time. Mind-blowing. Visa documentation service at Visa2Immigration was the best investment I ever made. It saved me hours of my time and won me the visa approval so easily, I didn't even realise how it all went through. You won't regret hiring Australia visa experts from here. I only realised how lucky I was to use their services when I compared notes with my colleagues who had also been trying for an Australian skilled worker visa and heard their visa application horror stories. Visa consultants at Visa2Immigration gave me amazing results. I had not been expecting them to be so good. They’re very responsive even a month after I landed in Australia. Now, I recommend them to all my friends. I dreamt of living and working in Australia all the time but I was a scaredy cat when it came to applying for the Australian visa. Fortunately, visa and immigration consultants at this site helped me a lot in getting everything done in a stress-free manner. Keep up the good work. Very easy to use and quite affordable for those who are serious about getting a skilled worker visa to Australia. They've got everything covered. So, all you need is to sit with their consultants and answer them truthfully when they ask you questions about your profile and your purpose. Visa2Immigration is the real deal! The Australian visa expert here helped me assess my profile and migrate to Australia as a skilled worker to be with my wife who is a permanent resident there. The whole process was totally smooth and stress-free and the consultation fee is quite reasonable. Australia visa consultation service provided here is unique as the recommendations offered by the experts here were quite specific. They helped me choose the right nominated occupation to increase my chances of getting a permit clearance and it happened! They know how to hit the bull’s eye. How Many Points Are Required For Australian Permanent Residency? Higher your score on the points test, higher are your chances of gaining Australia's permanent resident status. Call us now to know how to calculate your point score and how to boost it with a few simple steps. How To Apply And Get Permanent Resident Visa in Australia? Know all about the benefits of the Australian PR status and how to get it. 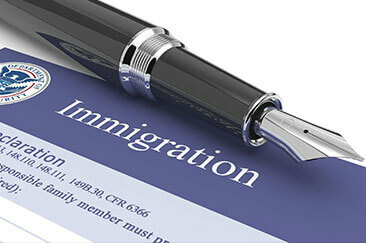 Our Visa2Immigration visa consultants have decades of experience in the field. Talk to them to know what's best for you. What is the cost of Immigrating to Australia? While the official visa fee is fixed for the migrants, you may also have to pay other charges (such as Second Instalment and fee for health assessments). Let us help you with the detailed breakup of all the fees and expenses you might incur. Still Confused? Don't Worry; Get a Call Back from our Experts. Whether you want us to analyse your case or need any form-filling assistance, we are here to answer all your questions. Just send us your contact details and our visa experts will get in touch with you within 24 hours. Copyright © 2019 Visa2Immigration. | All Rights Reserved.